I happily accept books for review. Please email me at becca@gravitybread.com if you are interested in having me review your book. I review picture books, short chapter books and books for children with special needs. I am also interested in books that can be a great resource for parents with both typical children and children with special needs. As a disclosure, I do not post reviews of all books sent to me. I will notify you once I receive the book and if I am going to review it. If I decide to review it, I will happily give an approximate date in which I will post the review. I am also open to any guest posts as well! The opinions expressed in my book reviews are my own. I do not receive any payment to do any book reviews. From time to time, I will receive products for free or credit with a particular company. I do not review or share products with my readers that I have not used myself. I share my honest opinions with my readers and my view is not altered based on any credit or free products. I am happy to be part of the National Reviewing Network Blogging Team for Sensory World, Future Horizons and Social Thinking. I get wonderful books from these publishers and am very grateful in sharing them with my readers. As a parent and therapist, sharing these books with my readers is an honor. I also review books for Parenting Special Needs Magazine. 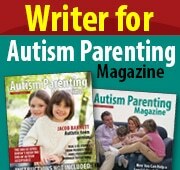 I post the reviews on my site with a link to Parenting Special Needs Magazine. Amazon Affliate FTC Disclosures: Some of the links in the posts are “affiliate links.” If you click on the link and purchase the book, I will receive an affiliate commission at no additional cost to you. I am disclosing this in accordance with the Federal Trade Commission’s 16 CFR, Part 255: “Guides Concerning the Use of Endorsements and Testimonials in Advertising.” Some of my posts have the affiliate links and some do not. I am writing the reviews of these books and resources to help build awareness of excellent books and to help guide parents and educators.